Who Are You is the 8th Korean digital single by South Korean singer BoA, released on May 6, 2015. 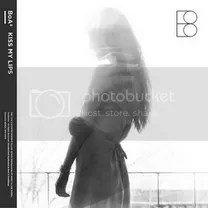 The single was released a week before her new Korean album ‘Kiss My Lips’. Who Are You (feat. Gaeko) opens with BoA singing in English to a lovely little piano melody before the song moves into a more uptempo vibe with a handclap beat. That piano melody can still be found somewhere in the background throughout the song so it forms a whole. BoA’s vocals are top notch again in this song, but I’m not used to any different from her. Gaeko is what I’m concerned about. I don’t know how the fans will handle his performance in this track. I think it’s okay, he adds a little spice to the (already amazing) track, although his singing parts were more in line with the overall vibe than his raps were. Maybe I need a little time to get used to how his style incorporates in the song, but I think the overall track is an amazing little taste of what is yet to come. See you next week for the album review!